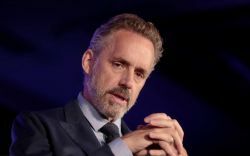 Jordan Peterson, the renowned author of the international bestseller, 12 Rules for Life: An Antidote to Chaos, is a courageous and articulate champion of free speech, individual liberty, personal responsibility, civic virtue, the rule of law and the values that underpin Western Civilization. Widely acclaimed for his wisdom, verve, and wit, Dr. Peterson combines the hard-won truths of ancient tradition with the stunning revelations of cutting-edge science with his incisive critiques of political correctness, identity politics, moral relativism, and collectivism on the left and right. This special evening is an event not to be missed!